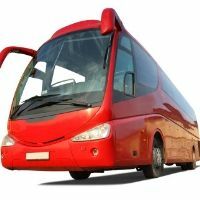 Blue Dolphin Travels, headquartered in Ahmedabad, Gujarat, India, is known for the dependable and the best Bus Ticketing Services. Owing to our experience and expertise in this domain, we have marked our presence as a high-flying name offering Bus Ticketing Services for the utmost convenience of the clients. A responsible name in this domain that you can count upon; we are a customersâ�� most favored name, when it comes to avail dependable Ticketing Services without any hustle bustle. We have associations with the leading agents who make things happen within an exact time, we have successfully gained customers satisfaction. All the details would be provided to you in the dedicated time. So, Donâ��t waste your time? Avail the outstanding services from us.